outputs. The diode prevents current from back feeding into the panel at night from the battery being charged by the panel. 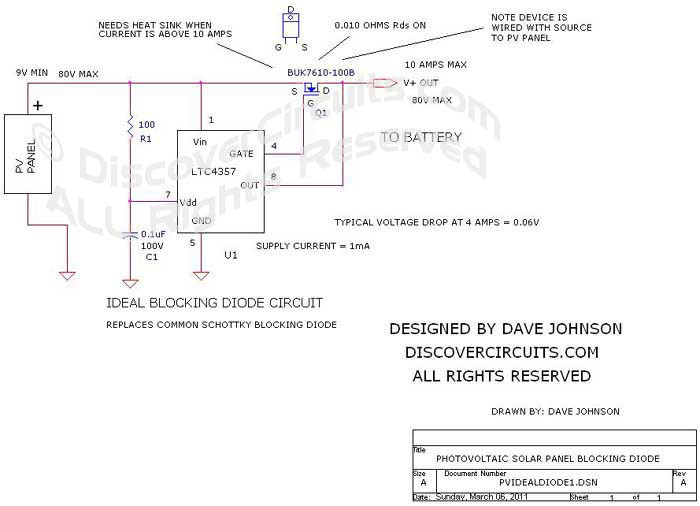 But, this diode does waste some power and does reduce the available panel voltage. To reduce both the power and the voltage drop to a low level, the circuit below can be used. It uses a LTC4357 integrated circuit from Linear Technology. The IC contains almost all the parts needed to drive an external n-channel FET to perform the diode function. With the components shown, the panel voltage could be as high as 80v and the current could be in excess of 10 Amps. 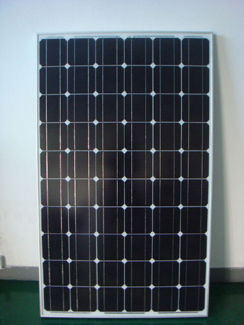 A typical 60 cell 250 watt panel will have an open circuit voltage of 37 volts and a short circuit current of 9 Amps.